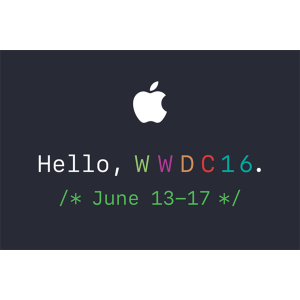 Apple’s annual WWDC, its showcase of the newest software and technologies for developers, will be held from June 13th to June 17th in San Francisco, California. 3Pillar Global’s Sean Kosanovich will attend this year’s conference. Lunchtime will be filled with guest speeches from industry experts and luminaries. On Thursday, the conference will conclude with a celebration, featuring food, drinks, and musical guests. Certain sessions of the conference will be live streamed daily, and videos of all sessions will be posted throughout the week of the conference. These can be viewed on the web or in the WWDC app. Sean Kosanovich has created “The WWDC 2016 Survival Guide,” which offers tips on how to get the most out of this incredible experience. For more information about the conference itself, including a schedule and registration information, visit the official conference website.